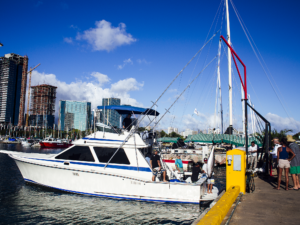 Kewalo has a history rooted in the art of fishing, and was traditionally the heart of a bustling fishing village in Kaka‘ako. On June 10, 1970, the largest marlin caught rod-and-reel in the world was caught by Captain Cornelius Choy off of Kewalo Harbor, weighing in at 1,805 pounds. The marlin was dubbed “Choy’s Monster” and continues to hold the record today. 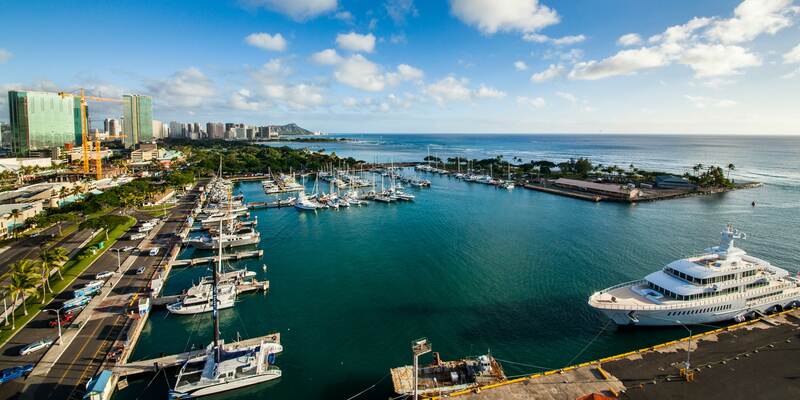 In honor of Choy’s Monster, Kewalo Harbor introduces the Kewalo Harbor Big Fish Chase. 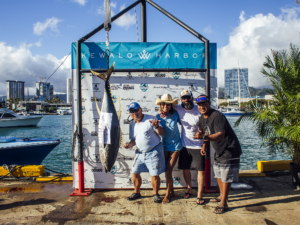 The base entry will be split evenly among the largest marlin, ahi, ono and mahimahi and the guaranteed $10,000 purse is split amongst the largest marlin, ahi, ono, and mahimahi. 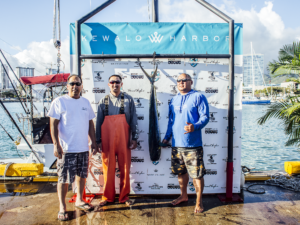 TO ENTER THE KEWALO BIG FISH CHALLENGE CLICK ON THE “REGISTRATION” LINK ON TOP MENU BAR. SCROLL DOWN AND CHOOSE EITHER OF THE “CHECK PAYMENT ENTRY” OR “CREDIT CARD BUTTON” AND CONTINUE THROUGH THE ON LINE PROCESS.